This Focus Series, The Business of Mining, captures the great wealth of knowledge that the Western Australia School of Mines (WASM) has to offer – in mine valuation and risk, orebodies and mineral exploration, accounting and mineral marketing. 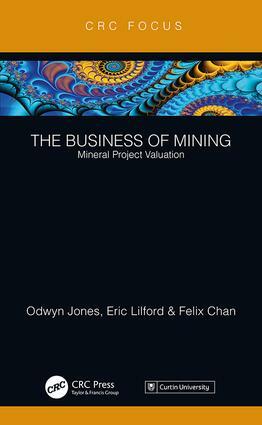 The complete series of three Focus Books will provide readers with a holistic all-embracing appraisal of the analytical tools available for assessing the economic viability of prospective operating mines, and were written primarily for undergraduate Applied Geologists, Mining Engineers and Extractive Metallurgists and those pursuing course-based postgraduate programs in Mineral Economics. The complete series should also be viewed as a useful updated reference text for practicing mining professionals and particularly those acting as consultant geologists, mining engineers or primary metallurgists. The Business of Mining series furthermore aligns with Curtin’s MOOC of the same name, and royalties from the series will go towards supporting educational programs at the WA School of Mines and the mining leaders of tomorrow. The series’ editor and original author, Emeritus Professor Odwyn Jones – who himself led the WA School of Mines for 15 years – has done an outstanding job in harnessing this expertise and making it available to students and professionals in the global mining sector.